What is an academy and why is it a good place to teach? 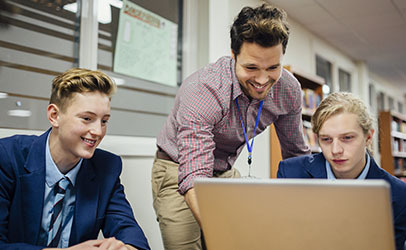 For teachers, academies typically claim to encourage more artistic freedom in the job role and an environment where innovation is encouraged without the red-tape of local authority governance. Academies are state-funded schools which are not maintained by local authorities. There are currently over 600 academies in England and more than 450 schools are in the process of converting right now! Why consider teaching in an academy? When a school gains academy status, they gain control over the pay, conditions of staff and what they teach and are also freed from implementing time-consuming local authority initiatives. This means you are free to explore innovative approaches to management, governance, teaching and the curriculum to improve the quality of the school in question. For leadership and management, Ofsted has judged one third of academies to be outstanding and over 90% to be good or better. The National Audit Office concludes that GCSE performance in academies is substantially better than in other schools. PricewaterhouseCoopers concludes standards in academies are rising at a faster rate than the national average. Sound interesting? Start your job search today!